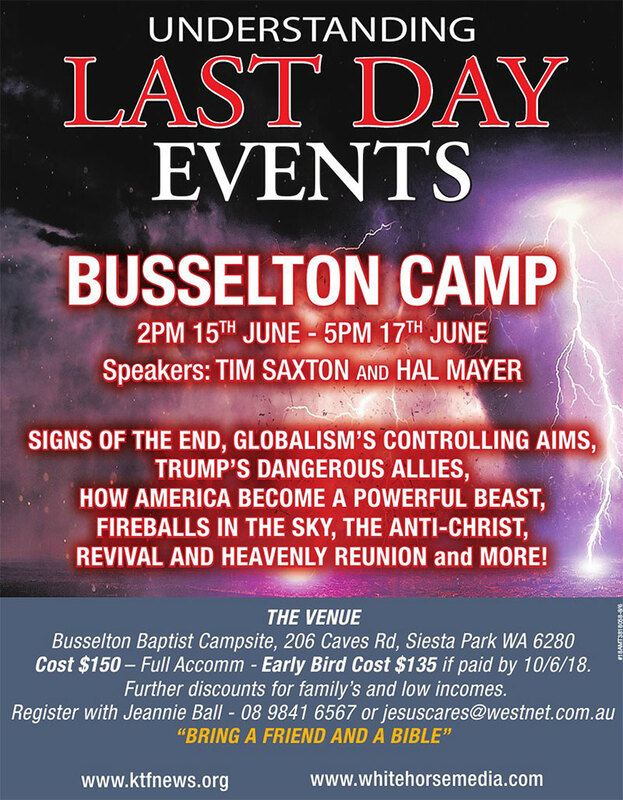 I will be traveling to Western Australia to speak at two “Understanding Last Day Events” seminars and a Camp in June 2018. 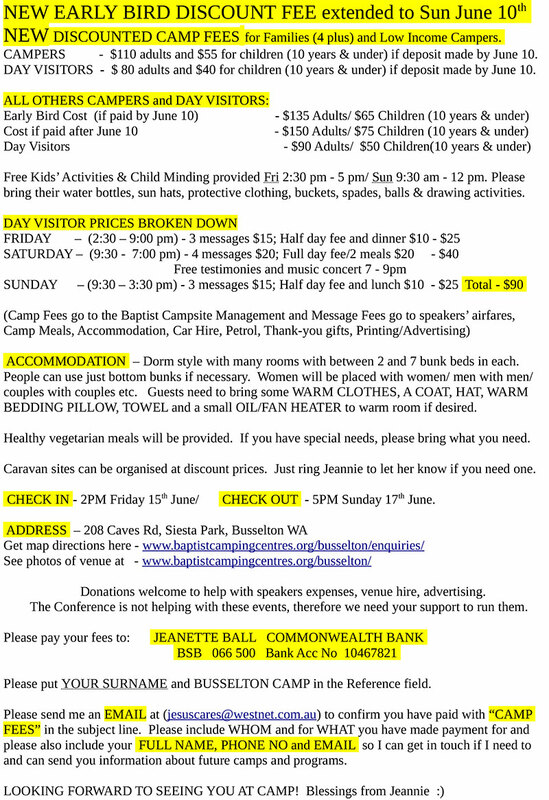 Specific details and camp registration information are below and also available in our White Horse Media Calendar of Events. Please come out and join us if you are in the area. Pastor Tim Saxton currently serves as Vice-President of the ministry, overseeing the areas of administration and finance. In addition, he also serves as an Associate Speaker. 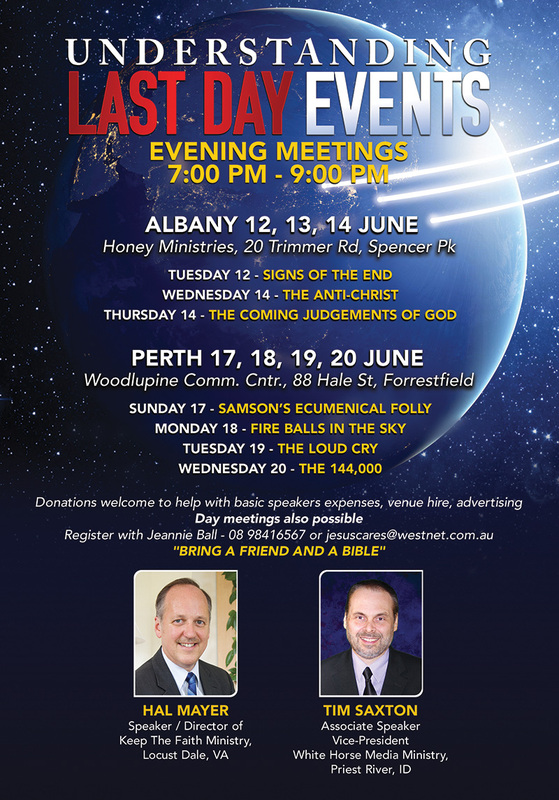 His focus topics include, the believers saving relationship with Christ, the sacrifice of Christ, the character of Christ and last day prophecy associated with end-time events. i wish I could join the ministry. I loved it here when we hosted Tim Saxton here in Kenya at Sophia SDA church in Lake Victoria field. God bless you abundantly as you continue spreading the gospel.